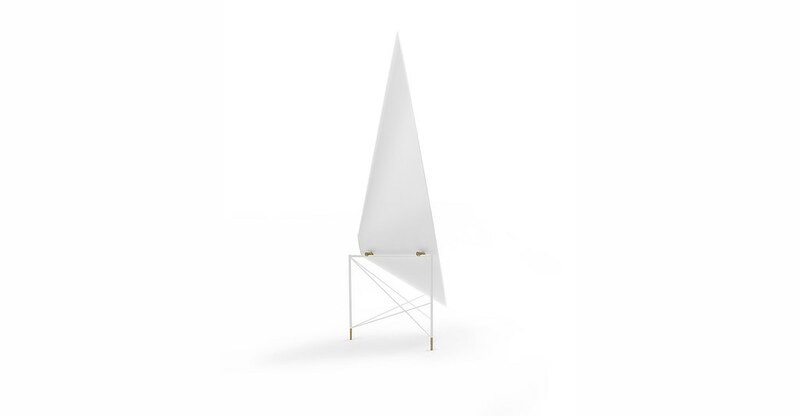 Freestanding mirror by Lithuanian architecture studio Heima for design brand jot.jot. 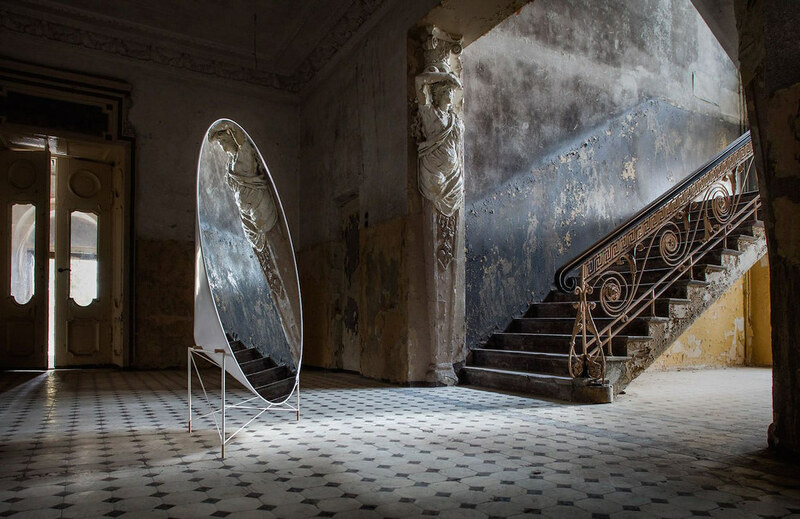 A sculptural freestanding mirror named MUDU was created by Lithuanian architecture studio Heima for design brand jot.jot. MUDU – it‘s about two of us – Me and My Reflection. The better I look, the better My Reflection looks. 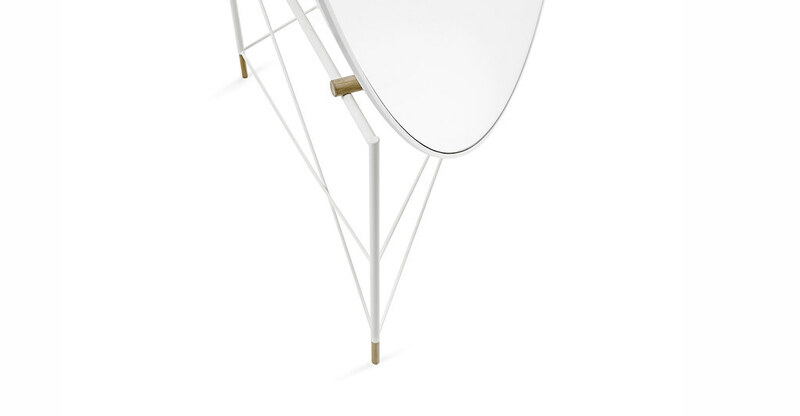 Yet still over the years i have discovered – The first step to looking elegant in a mirror is looking at an elegant mirror. — MUDU authors tells about the product. 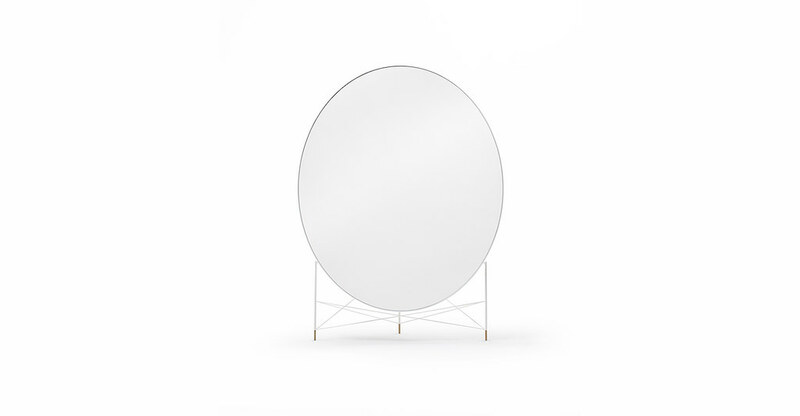 The mirror has an elliptical shape, supported on a minimal painted steel frame, white Corian back and wooden accents. 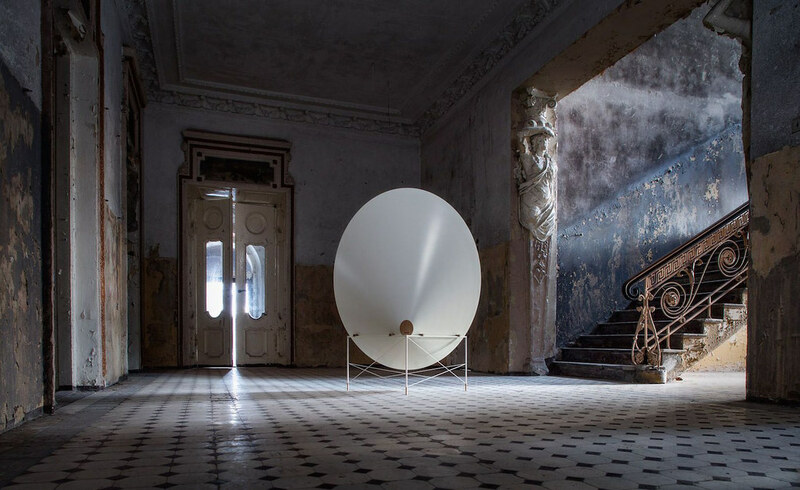 The MUDU design seeks to break the standard misconception that a mirror is just a flat object on the wall. 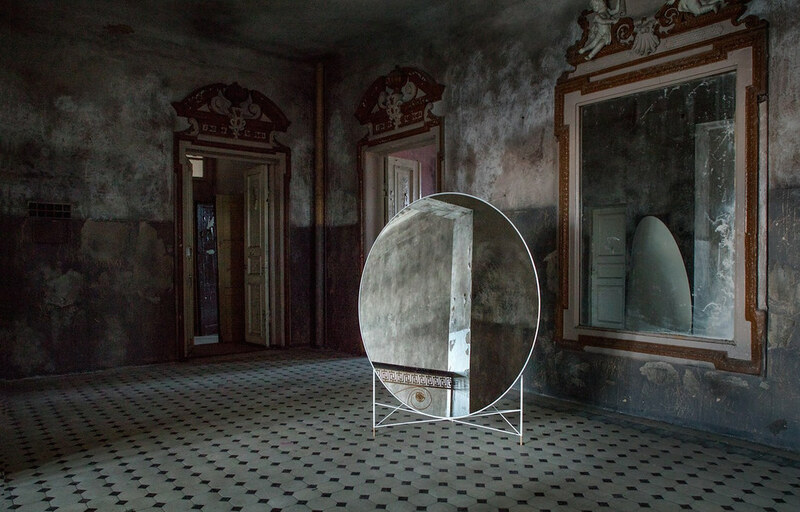 Instead, the mirror makers use a sculptural approach, thereby creating a three-dimensional piece of furniture. 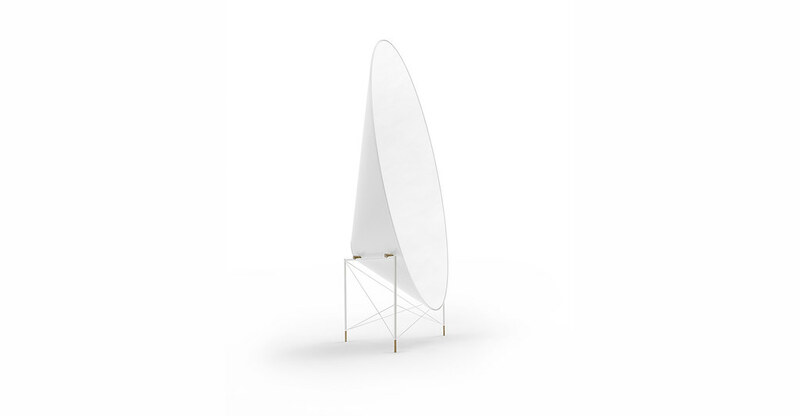 The Corian provided the mirror body with curved lines, uniform shape and durability. In the process of mirror production, the latest technologies are widely used, such as vacuum thermoforming and CNC milling. The contrasts are the basic concept of design. 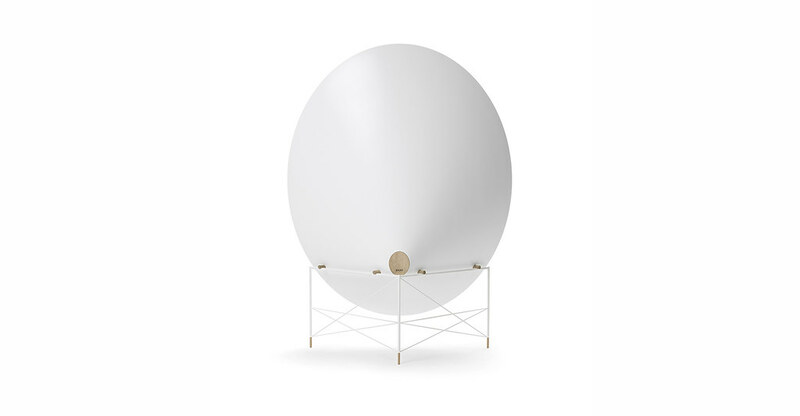 Solid volume against a light frame, simplicity of form against attention to detail, curved shell against straight lines. 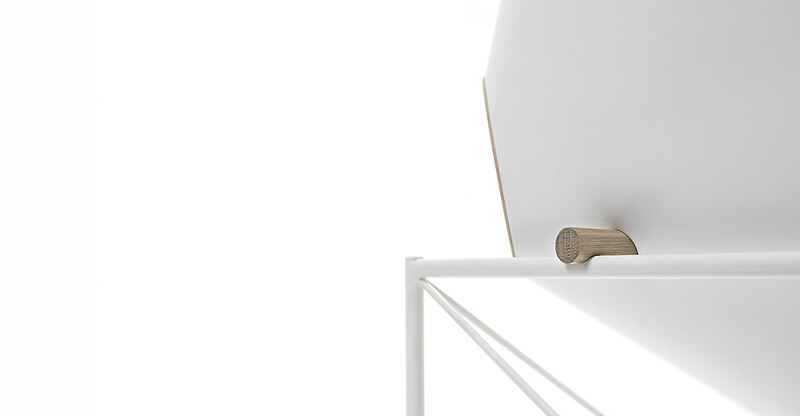 Two separate parts of the mirror — a sink and a frame — meet in an elegant wooden detail, which gives the impression of a one part resting on the other.